Looking to buy a home in McKinney this spring? For a limited time, new Trinity Falls home buyers will receive one year free of HOA dues. Simply purchase an inventory home from one of our seven award-winning builders by March 31 and your HOA dues will be paid in full for one year. 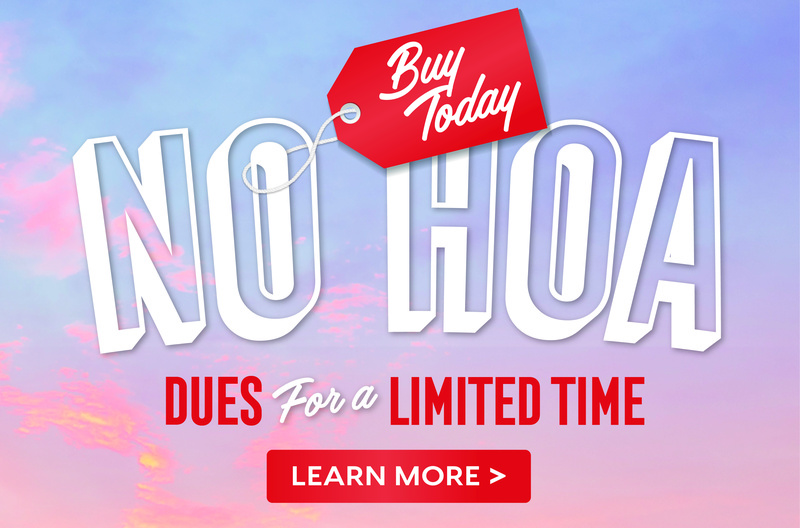 That’s pretty exciting, but what exactly is an HOA and what will you get for your dues? In short, a homeowners association — or HOA — enforces the community’s covenants to keep your neighborhood looking great and works to maintain the design standards and community aesthetics that first attracted residents to the community. The Trinity Falls HOA works hard to keep the community beautiful. The HOA handles all common-area landscaping needs, as well as works diligently to maintain all of the common areas, including parks, ponds and playgrounds. If you have toured Trinity Falls, you know that as a resident, you have access to some amazing amenities including a beach-entry pool, splash pad, clubhouse with open-air pavilion and indoor living room, miles of trails, parks and playgrounds. 2019 and 2020 are sure to elevate your experience as a homeowner with a new amenity center and more connections through B.B. Owen Park coming soon. We value fun at Trinity Falls and have an on-site Director of Fun that works daily to infuse fun with nature. Through signature events, community programs and neighborhood partnerships, Trinity Falls residents have a variety of activities to choose from each month that help encourages a sense of community and build lasting friendships. To protect property values and preserve the character of the community, the governing documents contain restrictions that establish architectural standards and govern the use of property within the community. The HOA takes a hands-on approach to community management and continues to communicate with residents so they can be informed homeowners. Just like every good financial plan, Trinity Falls is busy planning for the future while living in the moment. A well-managed HOA has a reserve study in place and funds available for long-term care and replacement of existing amenities and common elements, ensuring that property values will remain high for years to come. Newer Post Families Love McKinney in the Spring	Older Post February Incentives Are Here!